Wheat Pennies - The choice for most young people to start with. 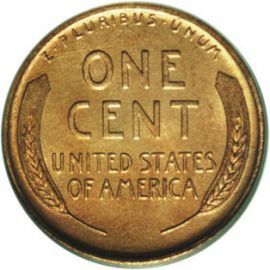 Wheat Pennies as they are called by most people were coined between 1909 and 1958. However, the proper term for this coin is "wheat cent". This is the set that most young collectors start with because they are fairly easy to obtain. A few great examples of key dates include: 1909-S V.D.B (by far the rarest), 1914-D, 1922 plain and 1931-S. The obverse of this coin shows a portrait of Abraham Lincoln with the date to the right and the inscription "LIBERTY to the Left. Also the motto "IN GOD WE TRUST" is above Lincoln's head. 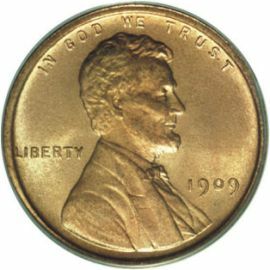 The reverse of these Lincoln Cents bears the denomination "ONE CENT" along with the inscription "UNITED STATES OF AMERICA" surrounded by two wheat stalks. Also, above the inscriptions reads E PLURIBUS UNUM which is Latin for ONE OF MANY. These coins have the same alloy as the Bronze Indian Cents that preceded them. They consist of 95% copper and 5% tin and zinc.